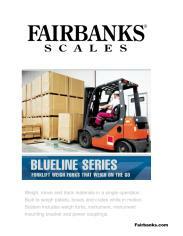 Fairbanks Scales BlueLine Forklift scale is a time-saving, on-the-go, pallet / box weighing system. 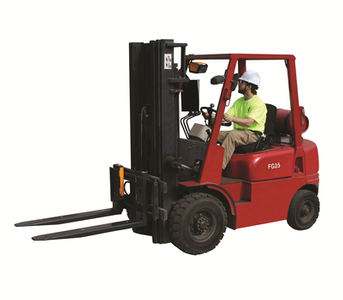 This system transforms almost any Class II / III cleat type forklift into an accurate scale in a matter of minutes. 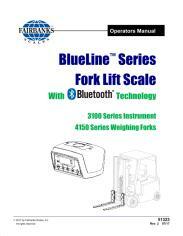 The BlueLine Forklift scale is completely wireless using Bluetooth Technology and it provides it own power source using onboard rechargeable batteries.